Our ornaments are laser engraved to ensure the design is perfect and lasts for years to come. The size is approximately 4" wide x 2.5" tall. You get ONE ornament either wood or acrylic, your choice! Font as shown. 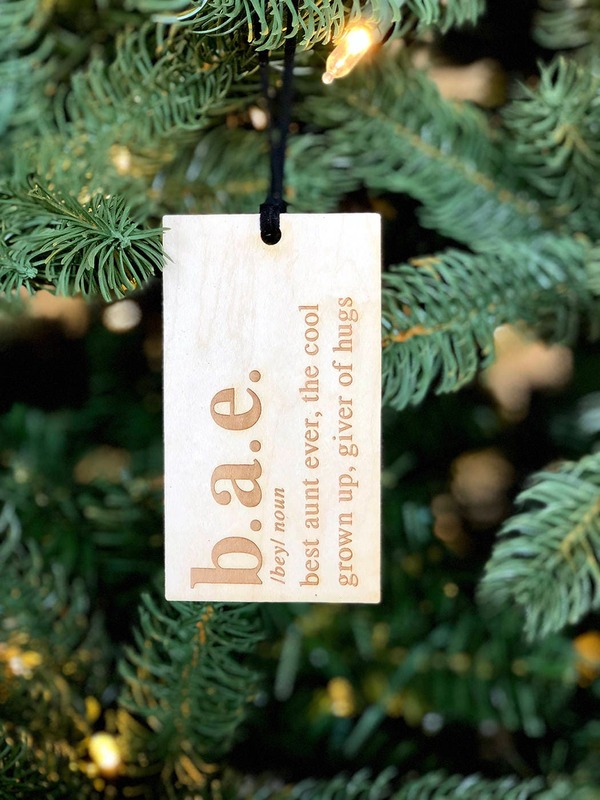 Our ornaments are laser cut from 1/8" high quality acrylic or birch wood. Note, the wood edges get a beautiful darker color from the natural burn. They include a black suede string for hanging!